Ohhh Lulu...: Have You Seen It? 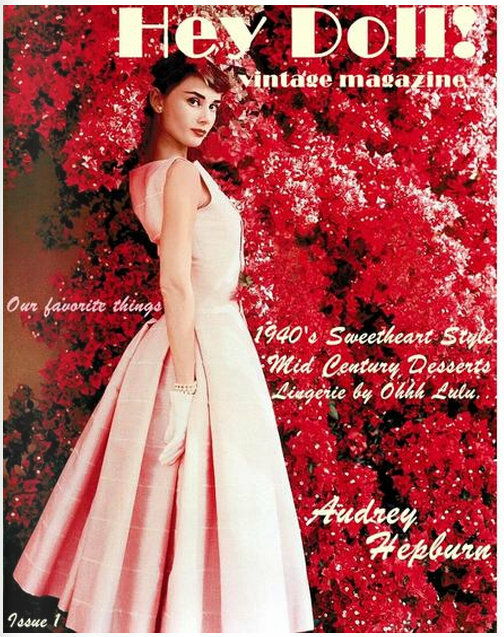 Has everyone read the first edition of Hey Doll Vintage Magazine? I am smitten!!! I can't believe how much work Brittany and Bunny have done on this beautiful 'zine. It's full of retro recipes, fashions, some DIY. It's just perfect and I can't wait for the next issue! I really wanted to thank them for the beautiful 4 page spread as well; it just looks amazing and is the perfect venue for Ohhh Lulu. I hope you will all take a look if you haven't sen it already!